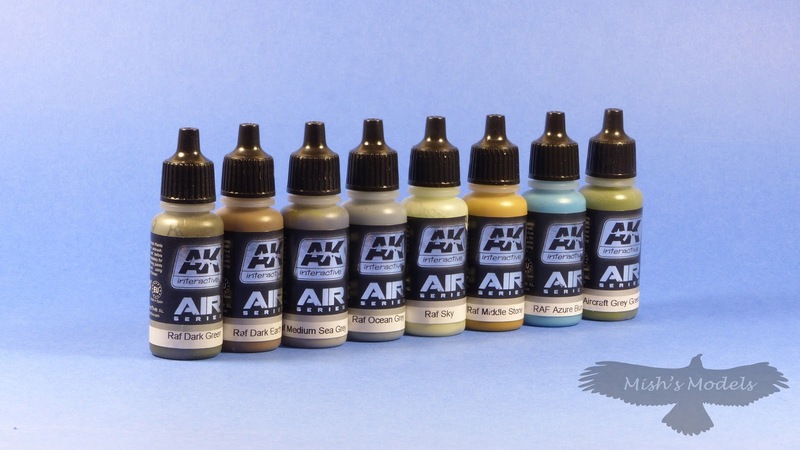 Paints, every modeller has their favourite manufacturers. The choices are vast and varied. I know I have probable tried, if not all of them, then a large proportion of them. 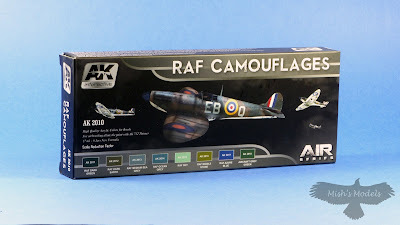 "This paint set includes the exact colors the British used to paint their aircrafts and has been formulated in consideration of the Scale Reduction Effect (subtle lighter than actual color), to obtain the correct colors in our kits. 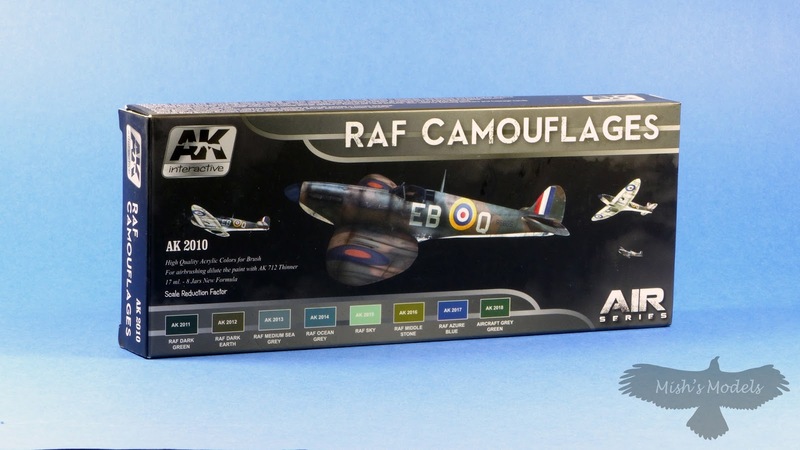 All of these colors have been carefully studied by historians and formulated to accurately represent the colors of the RAF." So that explains the the colour looking wrong to my friend. To my delight I found these paints sprayed straight from the bottle, after a bit of experimentation I found that I got the best results out of my H&S Evolution fitted with a 0.15mm needle/nozzle was to use an air pressure of between 5 PSI - 10 PSI. I did find that the bottles need to be shaken well to disperse the pigment which tends to settle out over time. 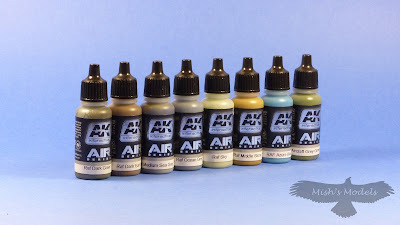 To make some comparisons I think the paint sprays like Vallejo Model Air and has the same translucently of Gunze paints. Do I like the paints? You bet I do. They spray well and are trouble free to use. Will I be getting some more? Oh yes. Plenty of suppliers stock them and the cost is competitive. Do I like the colours? Again yes I do. I feel AK have got them just right to give a true scale colour.